If you were hoping this year would bring a new analog mono synth from a major manufacturer, Korg has you covered. 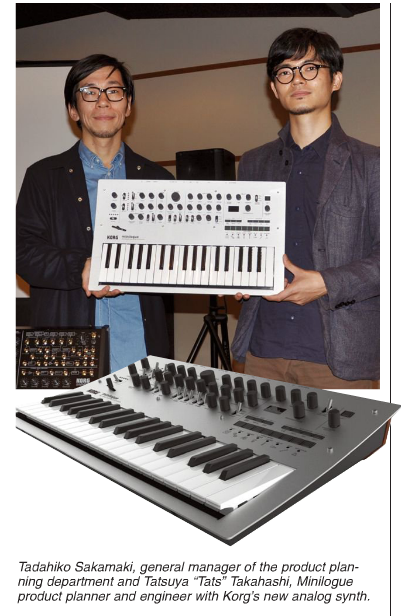 The Minilogue is the latest and greatest of Korg's analog revival. The Minilogue is a 4 voice polyphonic analog synth with 200 patches, OLED display with oscilloscope, and plenty of knobs. There had been countless internet posts asking for an affordable analog because of Korg's recent dips into the market, and finally, we have what looks to be the dream entry polysynth for the affordable price of $500 USD. 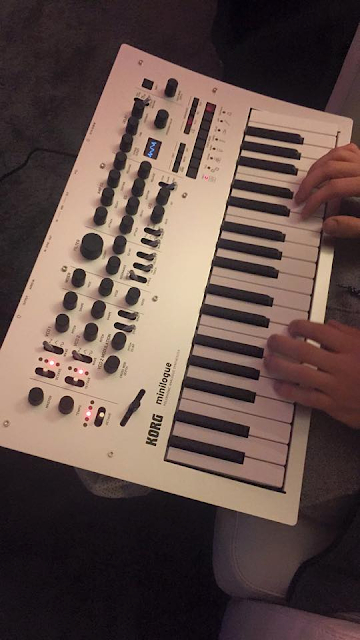 "KORG Minilogue - is a fully programmable, 4-voice polyphonic synthesizer, is also equipped with built-in reverb and delay effects. 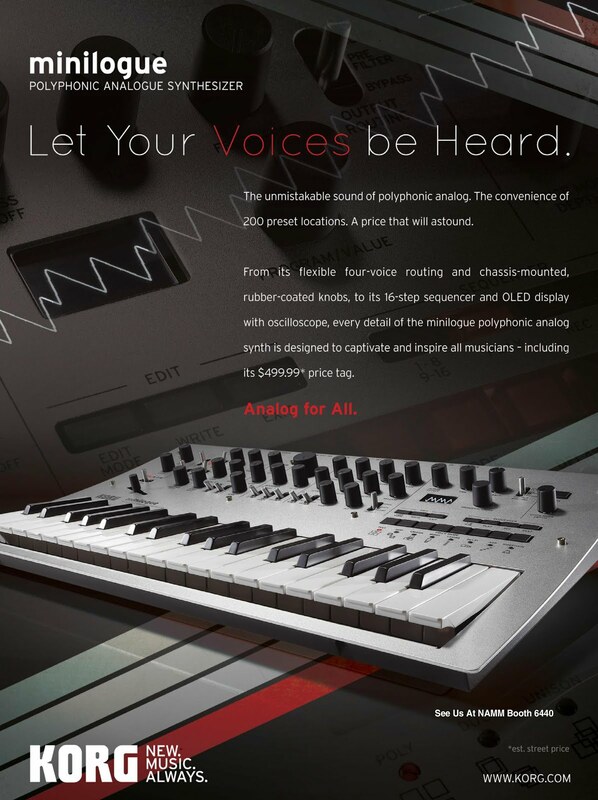 KORG company offers the best way to get acquainted with a unique, stunning features of the analog synthesizer. Synthesizer has a unique analog engine, quick access to the 100 factory 100 user presets, 8 voice mode to create its configuration of 4 votes - unison, polyphony, and so on. The front panel 41 of the controller to configure and quick change function, the oscilloscope in real time gives a visual check of sound, 16-step sequencer with automation polyphonic up to 4 parameters synthesizer and more." I'll add more pictures and info as I find it. We'll be hearing it at NAMM.